Just finished reading the book “Foodist” by Darya Rose, author of the blog Summer Tomato. It was awesome. It’s the first time I’ve read a food/health/diet book that didn’t make me feel like it wanted me to subscribe to a new religion. For example, Tim Ferriss’s Four Hour Chef and Four Hour Body was just WAY too intense for me. It stressed me out. I think Tim Ferriss is just way too intense for me. Foodist is very logical and practical. Throughout the book, I was saying “yeah… yeah.” I felt like it was giving me the proper mindset and understanding for why I am why I am but then giving me tools for making the right decisions and changing my habits. My only critique is that I wish there was some kind of companion app for the book so that I could better take the tips with me and use them when & where they’re relevant. Sorry that my analysis isn’t more indepth. I need to take better notes when I read books. 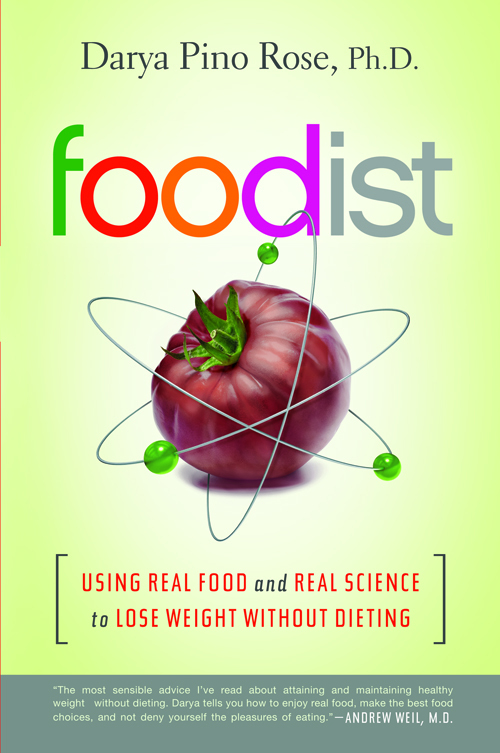 If you roll your eyes at the thought of yet another food/health/diet book then I’d highly recommend picking this up. Previous Previous post: I love you dad! Happy Father’s Day!